…and then some. 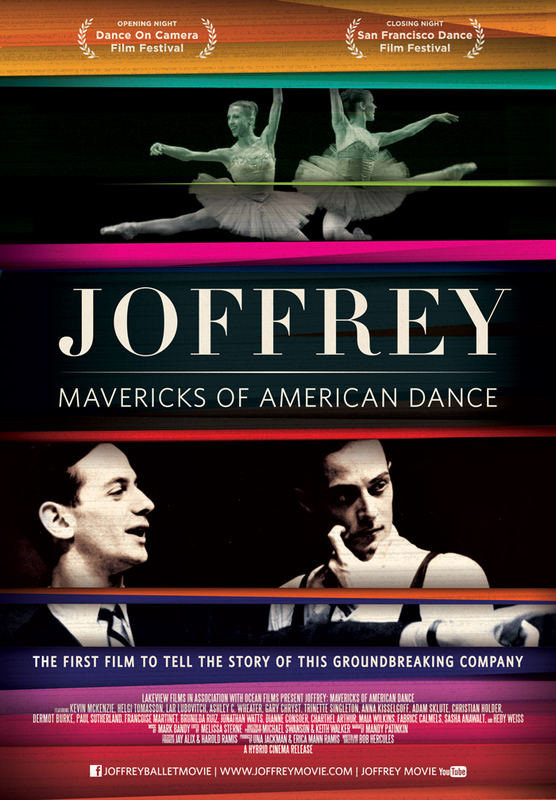 In the new documentary, Joffrey: Mavericks of American Dance, we get an inside look at the little company that could. And did: create a new form of American ballet, that is, courtesy of the visionary Robert Joffrey. Born Abdullah Jaffa Bey Khan to an Afghan father and Italian mother, Joffrey founded his eponymous troupe in 1956. He would later hook up with Gerald Arpino – both personally and professionally, with Arpino moving the company forward after Joffrey died in 1988 of AIDS. There is, however, scant footage in the film of Arpino, who died in 2008 and did his own share of choreographing (no matter that some of those works were less than critically acclaimed). Directed by Bob Hercules and narrated by Mandy Patinkin (one of our favorites, especially now that he’s doing a star turn on Showtime’s Homeland; click here for that), this doc is the first to chronicle how the legendary Joffrey Ballet revolutionized the art form in the States by boldly combining modern dance with traditional (Giselle, anyone?) ballet. Sure, the film has its share of talking heads, including former dancers who share their often poignant and insightful thoughts, but it also has some cool archival footage, including that of Astarte (left). Choreographed by Joffrey in 1967, this psychedelic ballet featured a live rock band, a light show worthy of Grateful Deadheads, and films of company members go-going at a boho nightclub. (The Joffrey, then based in the Big Apple, was the renegade troupe to Balanchine’s New York City Ballet and American Ballet Theatre.) 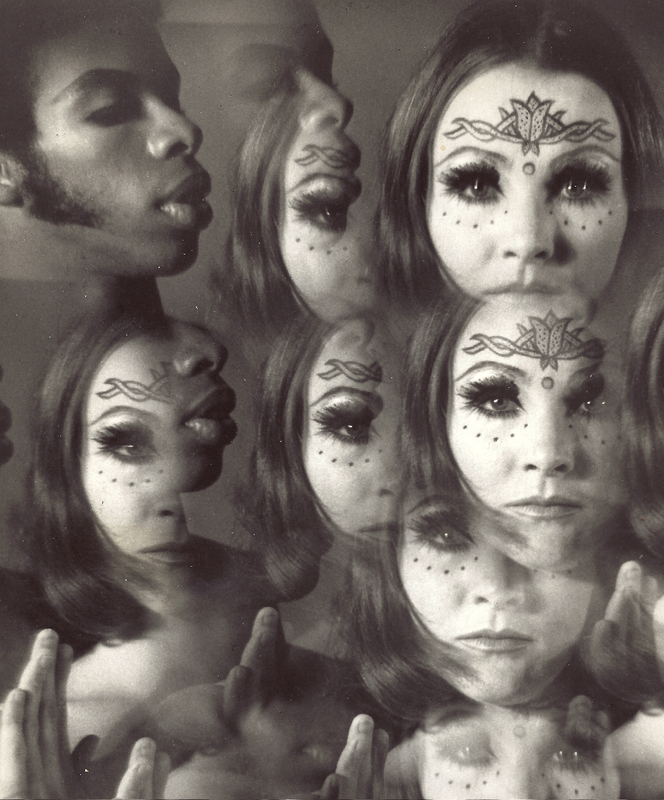 As for Astarte’s onstage dancers, they were garbed in nothing less than LSD-inspired unitards, looking like they were having, well, quite the trip. In other words, it was out with the swans and in with the hip(pie), as a new balletic era had begun. Indeed, even Time Magazine hailed the troupe’s edgy status by anointing the Joffrey on its cover. 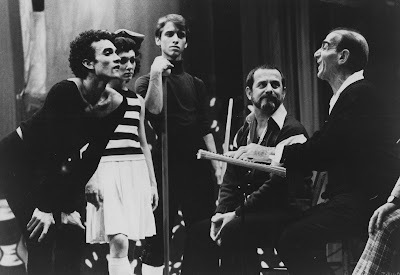 Other pop culturally-oriented works followed, including Twyla Tharp’s 1978 Deuce Coupe, set to music of The Beach Boys (which, the doc tells us, would help put Tharp on the terpsichorean map, including her eventually making some 14 ballets for ABT). And when the Joffrey found itself in dire financial straits, it was the critically panned (for the most part), Billboards, a 1993 pastiche making use of Prince’s music that helped fill its coffers. (Included in the suite was Laura Dean‘s Sometimes It Snows in April, pictured at top.) It would be the move from New York to Chicago, though, two years later, that ultimately saved the Joffrey from sinking into tutu oblivion. 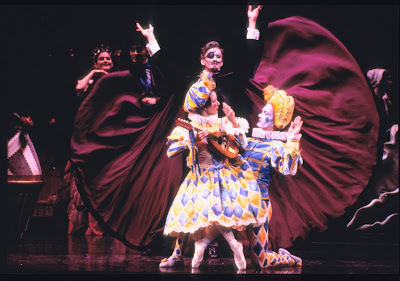 Another Joffrey hallmark is that its founder was committed to preserving historic ballet masterpieces, ones that had vanished from repertories of the world’s major ballet companies. Joffrey understood that homage needed to be paid to the classical choreographic pioneers of their time, by the pioneers of the present. 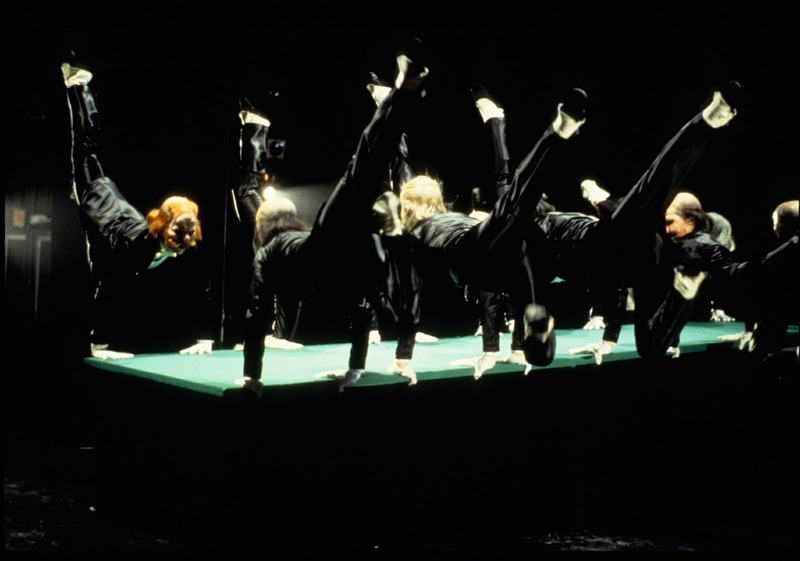 To that end, the doc gives us glimpses of Kurt Jooss’s 1932 antiwar ballet, The Green Table (above), with the German visionary himself teaching the Joffrey dancers this groundbreaking work that was seen in the States for the first time in 1967. Whew – sorry for the multitudinous asides! 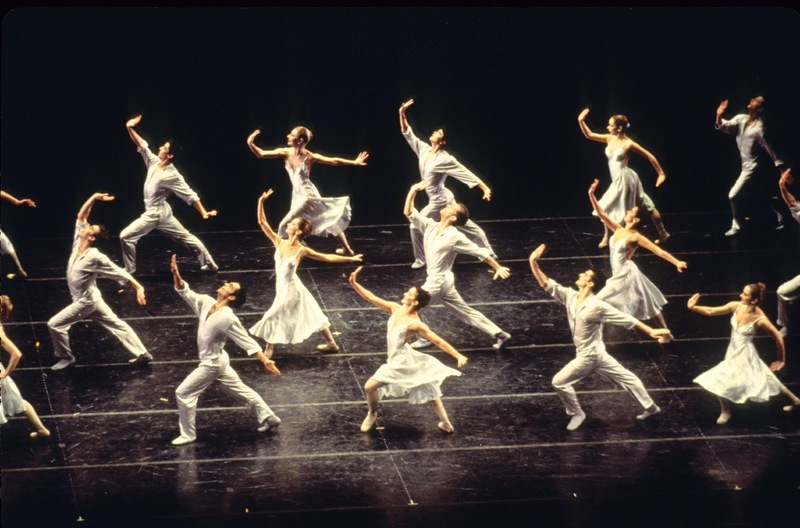 Though Hercules’ film is far afield from that other dance doc currently in theaters – Wim Wenders’ Pina 3D, an Oscar nominee for best documentary (click here for our musings) – it’s wonderful to have an historical record of this thoroughly American troupe. Now let’s see where contemporary ballet goes from here. Will the Twitterati/Facebook generation, used to receiving its info in byte-sized bits, delve into the past in order to help spark a refashioning of ballet for the future? We certainly hope so. In the interim, catch the Los Angeles premiere of Joffrey: Mavericks of American Dance on February 1 at Zipper Concert Hall at The Colburn School. This entry was posted in Uncategorized and tagged BEACH BOYS, BILLBOARDS, BLACK SWAN, DEUCE COUPE, ERIK SATIE, GERALD ARPINO, JEAN COCTEAU, JOFFREY BALLET, KURT JOOSS, LEONIDE MASSINE, LOS ANGELES BALLET, NIGEL LYTHGOE, NUTCRACKER, PICASSO, PINA BAUSCH, PRINCE, ROBERT JOFFREY, SO YOU THINK YOU CAN DANCE, SONYA TAYEH, THE GREEN TABLE, THE RED SHOES, TRAVIS WALL, TWYLA THARP. Bookmark the permalink.